Plastic pollution has sadly become synonymous with all of our favourite coastal activities - from surfing to swimming, beach holidays to wildlife watching - it is simply an expected part of our experience. But one that we should not, and do not, accept. Approx 5000 items of marine plastic pollution have been found per mile of beach in the UK. Join the Resistance to Wasteland by reducing your reliance on single-use plastics. Our supporters love their local beaches and are passionate about protecting them so that everyone can enjoy their beauty. Together we can turn that passion into practical action against throwaway plastics, galvanising communities to make a real and sustainable improvement to their beloved coastlines. 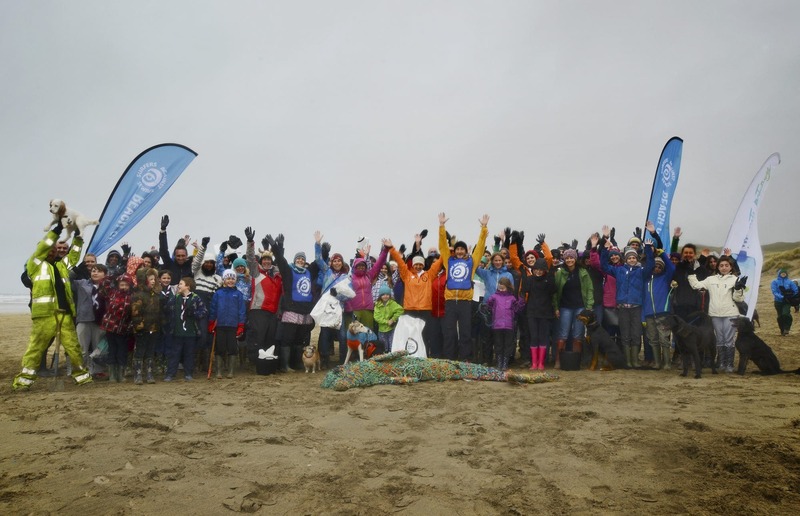 Our beach clean community reaches every part of the coastline, involving tens of thousands of volunteers. 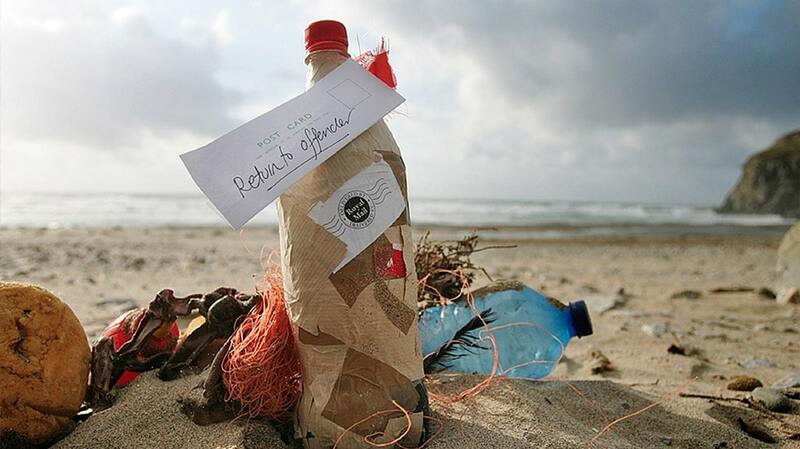 Take action with us to tackle the scourge of plastic pollution on your favourite beach! Every piece of plastic removed is a step towards plastic free coastlines. Our schools programme is capturing the imagination and enthusiasm of the next generation of beach protectors and environmental guardians. 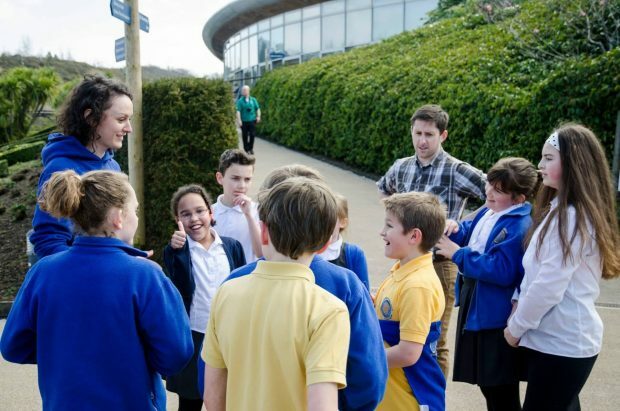 Can your school join us in creating anti-litter action plans? Some changes need to happen at the national level to have the most impact. 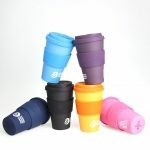 We're lobbying government and industries for stronger legislation and innovation to curb throwaway plastic culture. 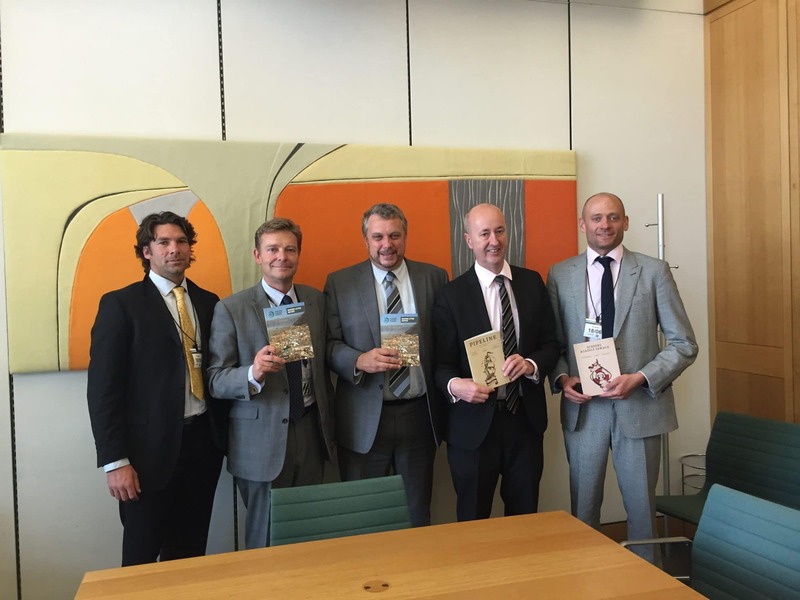 We have a strong voice in Parliament through the Protect Our Waves All Party Parliamentary Group, which consists of cross-party MPs from around the country with a shared interest in tackling marine plastic pollution. The more our community grows, the more they listen and the bigger change we can call for. Together with the Break The Bag Habit coalition we campaigned successfully for the 5p plastic bag charge legislation, which has already eliminated billions of bags from our environment. We believe this huge success can go even further when applied to all shops. How do we make big business take notice of the plastic pollution we’re finding on our beaches? We let them know! If you find a Coke bottle on the beach, take a photo and send it to them on social media with the location & #ReturnToOffender . Better still, send it back to their Freepost address with a note! We're collaborating with like-minded organisations across the world to build a global movement to change attitudes, behaviours and build action to reverse throwaway plastic culture. 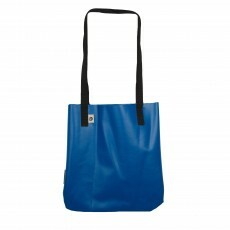 The Break Free From Plastic coalition is a movement of organisations at the forefront of driving the change needed for a world free of plastic pollution. In this world the principles of environmental justice, social justice, public health, and human rights lead government policy, not the demands of elites or corporations. The science is building to show how micro & macro plastic smog is choking our oceans and entering the food chain. Join fellow surfers, beach lovers and families who share your passion for protecting our coastlines from the scourge of plastic pollution. We have been at the forefront of tackling ocean plastic pollution for the last decade. 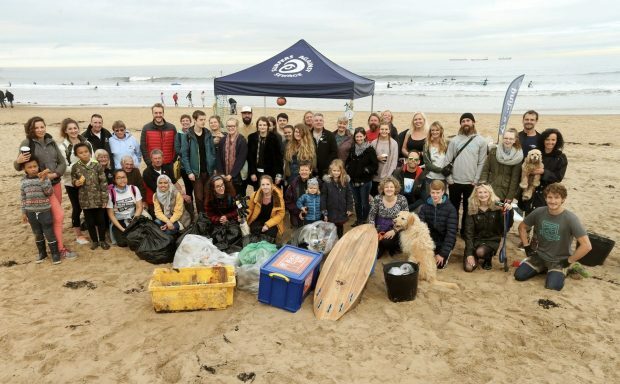 Surfers Against Sewage is perhaps uniquely placed to inspire, equip and unite local communities in response to this plastic pollution overwhelming our oceans, creating a growing environmental movement to reverse and remove the threat. 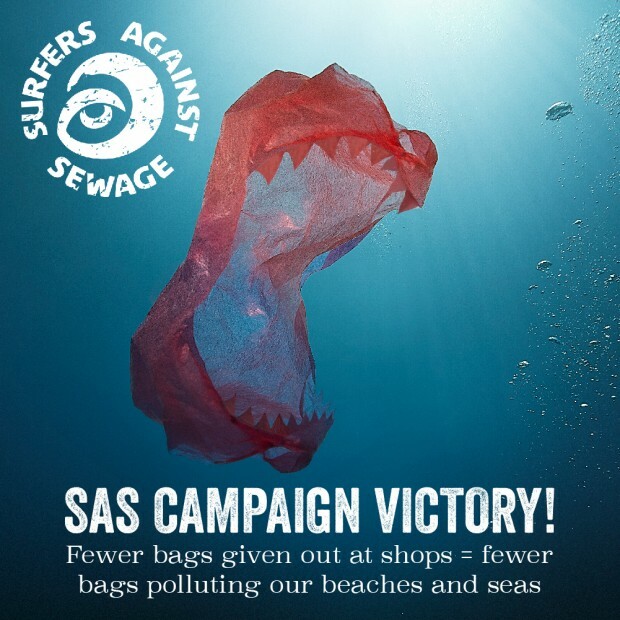 We have been encouraged to see the powerful results of the single-use plastic bag charge, which has already eliminated 6 billion plastic bags from the UK, demonstrating the dramatic impact of campaigning for legislative change. 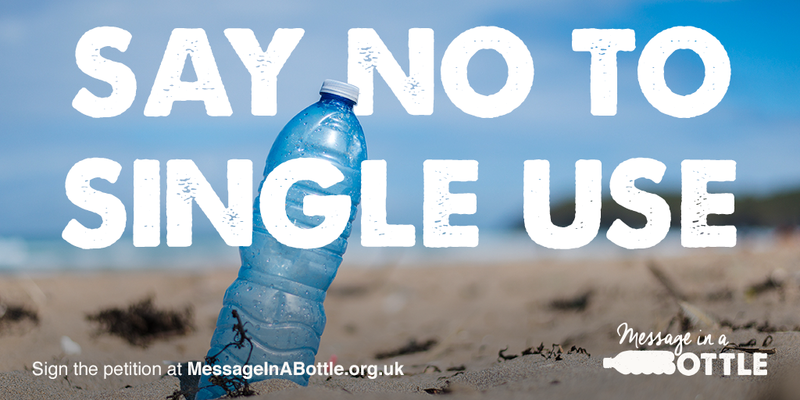 We are now campaigning for the introduction of a deposit return system on throwaway plastic bottles, and the first few weeks of 2017 saw over 200,000 people join us in this call with our Message In A Bottle petition. 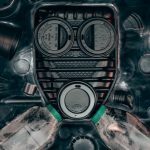 Public awareness of the need to reduce society’s collective plastic footprint is at an all-time high, with business leaders, politicians and even royalty now urging more decisive action to stop the flow of plastics to our oceans. The time to act is now.